​Sometimes you need a portable device that still packs the power of a full-sized computer. Whether you are traveling, a minimalist or on a budget, there’s plenty of reasons to say no to a big screen tablets. Thankfully, every top brand makes a competitive 10 inch tablet for all your needs. These tablets may not have the same storage capacity or processing power of a small laptop, but they are fast enough and large enough to handle most of your needs. Buying a tablet can be tricky. Tablets are frequently updated, and new competitors appear every year. With all the latest features, you may not know how to compare tablets. If you are up-to-date on the latest features, this guide will still give you a quick reference for any questions you may have. 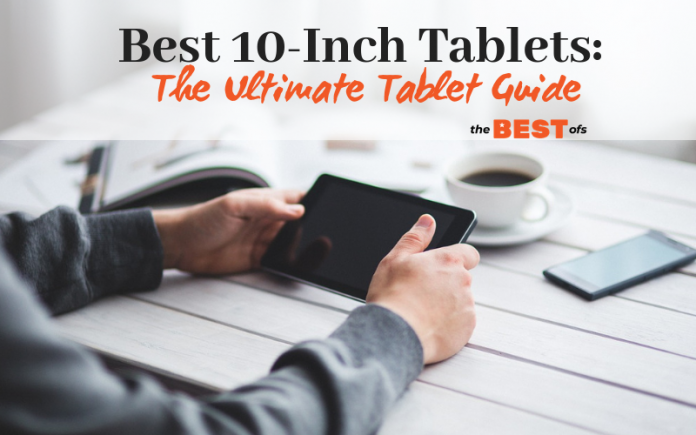 Take a look at the best 10 inch tablet on the market, and find the one that is perfect for your lifestyle. 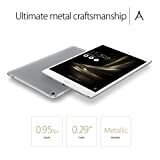 Each 10 inch tablet was chosen based on a number of important factors, including professional reviews, customer ratings and bestsellers lists. Each one has a variety of important features, like plenty of storage, RAM, resolution and a wide range of prices. No single tablet is the best for all individuals, but this list will give you a wide range of choices. After reading the FAQs and comparing each tablet, you’ll be able to make an informed and unbiased decision about the best tablet for you. ​This tablet is one of the most affordable tablets on the list and is able to be used for a wide variety of functions. The Lenovo Tab 4 takes a well-rounded approach, so it’s great as a 2-in-1 tablet and laptop for professional use, or it works wonderfully as a kid’s gaming and educational tablet. While there are some great features, the best feature of this tablet is its price. As a highly affordable, portable tablet, you’ll be able to take this everywhere and can even afford a second tablet for your children or partner. It’s not as powerful as more expensive tablets, however. It only has 16 GB of storage, so you’ll need to utilize online storage for your music and pictures. It also only has 2 GB of RAM, which means it won’t run as smoothly as other tablets, like the Yoga Tab 3 Pro. However, customers love how lightweight it is, and many feel it runs faster than expected for its RAM. It’s an excellent choice for anyone who wants a highly affordable, yet effective, 10 inch tablet. 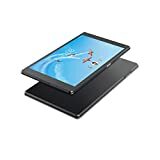 ​One of the most unique and innovative tablets, the Yoga Tab 3 Pro is designed to be highly functional and works as both a high-powered tablet and a video projector. 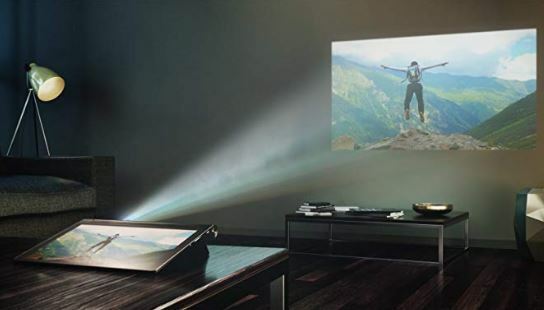 The 50-lumen projection device is capable of projecting a 70-inch image on any flat surface, like your wall or even ceiling. It’s advertised as a way to replace your TV, and customers love the image-quality and audio of this powerful tablet. If you aren’t looking for a video-streaming device, its 4 GB of RAM and long-lasting battery are great for almost any function. If you add a keyboard, you have a powerful Android-based workstation. Its 64 GB of storage capacity means you can watch videos without an internet connection, so your home theater system can go anywhere with you. It’s an excellent choice for a great tablet that has premium features and one of the widest ranges of functionality. 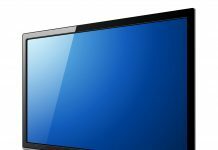 However, it’s considerably more expensive than other tablets, so it may not be a cost-effective choice if you don’t plan on using the projector and other features. ​A mid-range tablet with a great balance of performance and affordability, the Asus ZenPad 3S gives you plenty of reasons to love it. With 64 GB of storage and 4 GB of RAM, it ranks with the best tablets on this list, for half the cost. This screen is just slightly smaller than the rest, at only 9.7 inches. The 8-megapixel camera will give you great photos, and the 5-megapixel front-facing camera is great for video calling. The only thing to dislike about this versatile tablet is its middle-of-the-road approach. It’s still more expensive than the most budget-friendly tablets, and it doesn’t offer as many unique features as a more expensive tablet. Another great mid-range tablet, the Samsung Galaxy Tab A is a very popular Android system from a trusted brand. It comes with a great processor, but only 2 GB of RAM. While most customers love the versatility and affordability of this tablet, some customers feel it runs slowly and doesn’t offer enough storage capacity. It may be too expensive for simple web browsing and apps but doesn’t provide a lot of unique or premium features. However, for a mid-range 10 inch tablet, it still has good resolution and build quality. 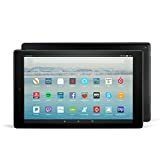 ​The ultra-affordable Amazon Fire is a popular choice for anyone who wants a no-nonsense tablet for web browsing and connecting with other Amazon products, like the Amazon Echo. As the most inexpensive tablet on the list, you may be surprised with its 32 GB of internal storage, and 2 GB of RAM. 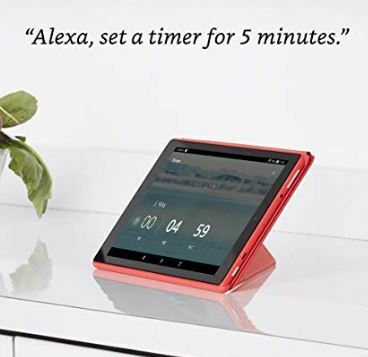 Alexa makes this tablet very user-friendly and convenient. However, because it uses the unique Fire operating system, you won’t be able to use your favorite web browser. It only supports Amazon’s personal web browser. Customers love the screen resolution and price tag on this highly effective tablet. ​If you love Apple products and want a reliable device, consider the newest iPad Pro. With 64 GB of storage and 4 GB of RAM, you’ll be able to use this as a portable business workstation. Apple has a whole host of interconnected devices, like the Apple Pencil or Smart Keyboard. You can even buy a data plan for your iPad, in order to receive 4G coverage. Customers love the convenience of iOS products and the high resolution of this premium tablet. However, it’s considerably more expensive than any of its competitors. 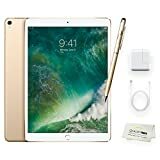 If you are looking for premium features at every turn, and don’t mind the additional expense, the iPad Pro is a very versatile tablet for almost any function. If 64 GB isn’t enough storage, you can upgrade the iPad Pro to come with an incredible 512 GB of internal storage for the total price ​couple of bucks. The top six tablets represent a wide range of prices because each one's design meets very specific needs. As a great budget pick, consider the highly affordable Amazon Fire HD 10 for an affordable price. Or, if you want high-quality features and a high-end brand, consider the newest Apple iPad Pro for a hefty price. 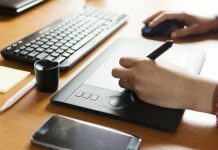 The most expensive tablet won’t be the best choice for every person, so you should choose based on features and functionality, rather than high-end prices. ​10 inches is one of the larger tablet screen sizes, but quite small for a laptop. There are tablets as little as 8 inches, so 10-inch tablets are considered full-sized. 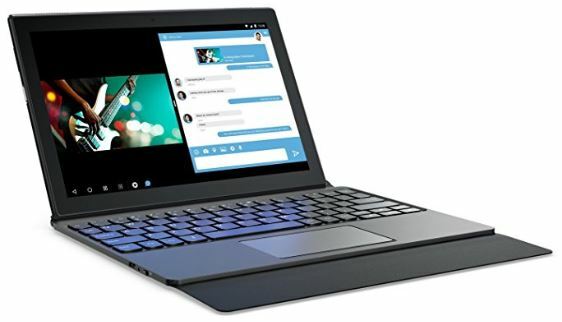 10 inch tablet boast large storage capacity and RAM but are portable enough to be carried conveniently in even the smallest bag or backpack, so they are a great hybrid between tablets and laptops. Whether you are a professional on the go or are looking for a smaller screen for your teenager, these tablets are an affordable, flexible and popular size. ​2. What Are the Most Important Features of a Tablet? ​As with any device, you need to determine your own needs in order to find the most important features. Depending on the programs and functions you typically use, you may want slightly different features. In general, some important components to look for are RAM, storage capacity, screen resolution, camera megapixels and price. Storage capacity in 10 inch tablet can range from 16 to 64 gigabytes, or GB. If you don’t use a lot of apps, and if you store your music, videos and pictures online, you won’t need to worry about a large amount of storage. However, 64 GB of storage is a great bonus if you like to have your files available offline. 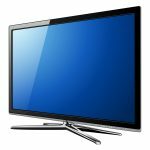 Screen resolution is measured in pixels, which are the small dots of color and light on any screen. So, if a screen is 1280 x 800 resolution, that means there are 1,280 pixels in one horizontal row, and 800 pixels in one vertical row. Higher pixel counts make the image clearer, sharper and more defined. Of course, each tablet has its own unique features, so be sure to compare each tablet carefully before choosing the best tablet for you and your style. ​RAM, or random access memory, affects how quickly your computer operates. It can also be called internal memory, primary storage or several other names. Rather than long-term storage, RAM makes a difference in short-term operations. So this number, usually between one and four GB, describes how fast your computer can process information. If you have a fast internet connection, but your computer struggles to load some web pages, you may need more RAM. While it is another form of memory, it shouldn’t be confused with storage capacity, which is usually much larger. Most tablets have 1-2 GB of RAM, while newer, faster tablets will have 3-4 GB of RAM or more. ​4. Why Are Megapixels Important? ​Megapixels, or MP, are the most common way to express the quality of a camera. MP are a great way to measure the image quality of cameras in some cases, but this can also be a deceptive number. MPs are usually used to describe large pictures, or pictures you wish to zoom in on. It’s important to have a high MP camera, but it may not necessarily mean the highest MP camera is always the best quality. ​10-inch tablets offer a great balance, as both a portable and affordable device. It’s large enough to stream videos, but small enough to fit in your travel bag. Look through the FAQs and determine the features that are most important to you. Whether you are looking for a dedicated kid’s tablet, a highly portable workstation or a video streaming device, this list has the best 10 inch tablet for you and your household. 10 inch tablet may not be as portable as smaller tablets, and they don’t have the storage capacity or processing power of a laptop. However, they provide an excellent combination of the two, for a very versatile and dependable device.